Cleanses the entire body and keeps hair looking shiny and soft. Hypoallergenic with skin and hair conditioners. Specially formulated for effective cleansing of the entire body. Perfect for use in any facility, including fitness clubs, spas and nursing homes. 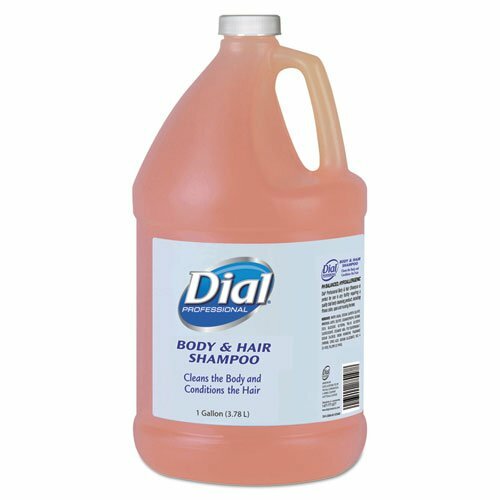 Soap Type: Liquid; Application: Body; Hair; Capacity (Volume): 1 gal; Scent: Gender-Neutral Peach.